The UK's welfare system is "seriously wrong" in allowing poorer members of society to remain "in a destitute situation", Archbishop Vincent Nichols has said. 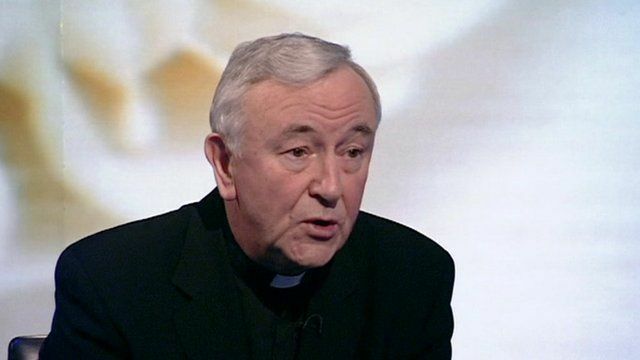 The leader of the Catholic Church in England and Wales told the Today programme that the "moral challenge" facing politicians is "the principle that we have to regard and treat every single person with respect". First broadcast on BBC Radio 4's Today programme on Tuesday 18 February.